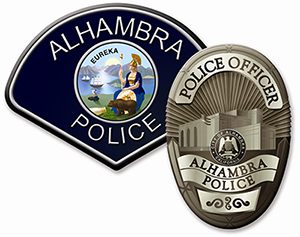 Mobile users in Alhambra now have the ability to send text messages to 9-1-1 Dispatchers. Dispatchers can receive and respond to mobile phone SMS Text to 9-1-1 messages. This technology gives the hearing and speech-impaired residents, or those in situations where it is too dangerous to dial 9-1-1, a potentially lifesaving option. "Call if you can -- text if you can't" is the slogan developed by the Federal Communications Commission (FCC) as the new technology makes its debut in the most populous county in the United States. "This technology can save lives and meets the needs of a growing population that relies on text messaging as a key form of communication," said Mark Ghilarducci, Director of the California Governor's Office of Emergency Services. • If you can, always contact 9-1-1 by making a voice call, "Call if you can - text if you can't." • If you are deaf, hard-of-hearing or speech disabled, and Text to 9-1-1 is not available, use a TTY or telecommunications relay service, if available. • If you text 9-1-1 and text is not available in your area, you will receive a bounce back message advising "text is not available please make a voice call to 9-1-1." • Text to 9-1-1 service will not be available if the wireless carrier cannot ascertain a location of the device sending the message. • Text to 9-1-1 is not available if you are roaming. • Photos and videos cannot be sent to 9-1-1. They cannot be received at the 9-1-1 center at this time. • Text messages should be sent in plain language and not contain popular abbreviations (SMH, LOL, ICYMI) or emojis, which will not be recognized. • Text to 9-1-1 cannot be sent to more than one person. Do not send your emergency text to anyone other than 9-1-1. • Texts must be in English only. There currently is no language interpretation for text available. This is still in development.